Buy it or Borrow it? is inspired by HGTV’s Buy it or List it. The point of this meme is to showcase two books that I am interested but I’m having trouble deciding if I should get them. Hopefully, my readers can help me make an inform decision and help me pick one. This week’s theme is the red dress. Obituary-reading emo girl Edith Small is broken – the end result of forcing herself inside a mold that doesn’t fit. All she wants is to conform to her strict sergeant stepfather’s rules long enough to make it to graduation day. But a boat accident threatens to unravel the life Edith has worked so hard to keep. After waking up in a hospital with a lacerated shoulder, Edith fakes amnesia. Because admitting she received her injuries from a blue-haired girl who breathes underwater is all the reason Sir needs to send Edith on the first bus to military school. Safe at home, Edith struggles to put the nightmare behind her. But the mysterious creatures that live in the ocean aren’t about to let her forget. After meeting Bastin – a strange boy with silver hair and black eyes – on a secluded dock, Edith learns about the war raging undersea to end human existence. A war that Edith, unwittingly, has become the key to winning. 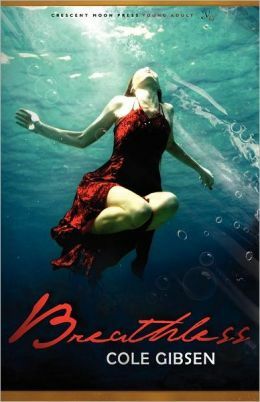 In a world where death is an ever-present shadow and motives are as dark as the bottom of the ocean, Edith must decide if her life is worth risking for a love that can’t survive past the shore. I love underwater imagery so this is captivating. The red dress is nice, it’s not as glamorous as other dresses but it is a nice dress. I’m curious about the main character, Gibson describes as “emo” so I really want to see her scene and how well it is portrayed. Vanessa Adler isn’t so sure she really belongs at the School of American Ballet. But dance runs in her family. It’s been a part of her life for as long as she can remember. Her grandmother and mother were prima ballerinas, and her older sister Margaret was, too. That is, until Margaret mysteriously disappeared from school three years ago. Vanessa is heir to the family’s gift and the only person who can fulfill her sister’s destiny. She has no choice. But she never could have guessed how dangerous the school is. The infamous choreographer, Josef, isn’t just ruthless with his pupils, he guards a sinister secret, one in which the school’s dancers-prized for their beauty, grace, and discipline-become pawns in a world of dark, deadly demons. I love the red dress, it’s disintegrating into flower petals. Stunning. The story line is interesting because it is ballet. I haven’t read anything about ballet; seen plenty of movies though. It feels a little more contemporary than paranormal so it is a little outside my range. My preliminary decision is that I should buy Breathless and borrow Dance of Shadows. Right choice or wrong choice? Posted on February 20, 2013, in Buy it or Borrow it? and tagged Breathless, Cole Gibson, Dance of Shadows, Edith Small, Vanessa Adler, YA Fantasy, Yelena Black. Bookmark the permalink. 2 Comments. 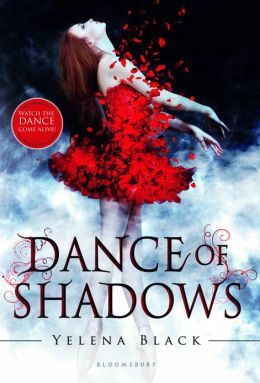 Definitely borrow DANCE OF SHADOWS. That gorgeous cover is the BEST part of the book. That is sad that cover is the most exciting part of the novel. Thanks for letting me know.